If you didn’t have your wisdom teeth taken out in your teen years, you might be facing this procedure as an adult. Part of good child and adult dental care is removing teeth when they become an issue. 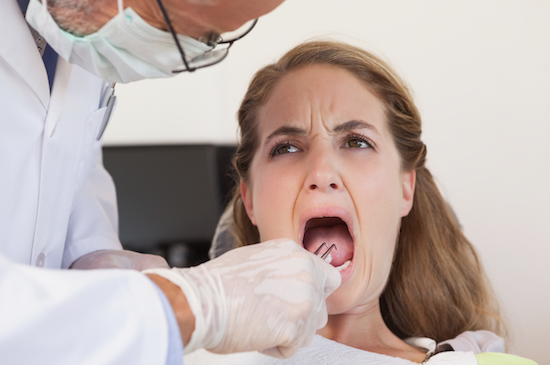 How can you tell if your wisdom teeth have become such a problem? Read on to find out. Not every jaw has room for 4 extra teeth, so when they try to come in, they can cause overcrowding. This can cause the other teeth to shift, wreaking havoc on your bite and alignment. Wisdom teeth can’t be moved with braces, so there’s no way to make them all fit. Only extraction will solve the overcrowding. If you’re experiencing pain because of your wisdom teeth, you should definitely see your dentist. While some pain with emerging teeth is normal (think of a teething toddler), it might be a sign that there’s something wrong. Sometimes extraction is the best option, but not always. Sometimes the pain will resolve on its own. Your dentist can help you determine which route is best for you. If you’re finding it painful to chew, it might be because your wisdom teeth are causing overcrowding, leading to food getting stuck in between your teeth. For the health of your other teeth, it may be necessary to extract the wisdom teeth. Ideally, the wisdom teeth will come in straight, with plenty of room for them. This is often not the case, and when wisdom teeth grow in crooked, they can shift the other teeth and cause those to be crooked as well. This process can even cause damage to the other teeth. Extracting the crooked wisdom teeth can prevent this. Sometimes, the development of the wisdom teeth roots can rub against the sinuses and cause uncomfortable pressure. If you’re noticing pain, pressure, headaches or congestion in your sinuses, it may be time to get those wisdom teeth removed. Sometimes, cysts form around the wisdom teeth as they emerge. Left untreated, they can destroy bones, roots, and nerves. Along with cysts, sometimes emerging wisdom teeth can create flaps of gum tissue next to the tooth. This flap can trap bacteria and small food particles, leading to cavities and gum inflammation. Once the gum is inflamed, it can become hard and irritated, making it difficult to clean and furthering the irritation. If you’re experiencing any of these issues, you should call your dentist as soon as possible to determine is extraction is necessary. Extracting wisdom teeth is a common part of dental care, so your dentist will know just what to do. It’s best to get this done earlier rather than later – as you age, your jaw bones become harder and teeth more difficult to extract. So call your dentist soon!